Ski trails in the mountain. Our goal is to offer a complete trail network, but the snow and weather conditions are the decisive factors. Safety is our main concern, and if we find the conditions too risky, the trails will not be groomed until the weather improves. Before you start your trip, we recommend that you check the snow report for the actual area. It tells you about which trails are groomed and also provides some general information about the conditions. We would also like to point out that the weather changes quickly in the mountains. A freshly groomed trail may disappear in minutes if the wind is strong. Be prepared for the weather and observe the mountain code. 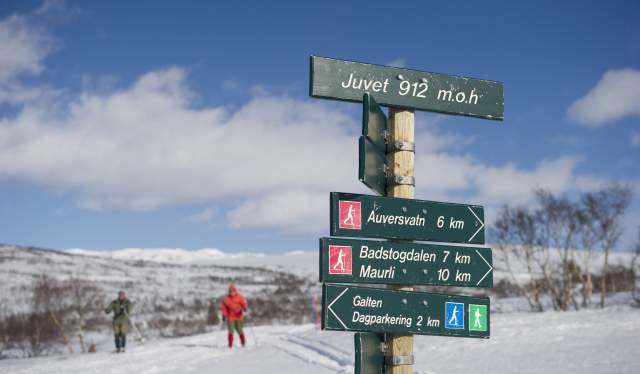 Hovden boasts 190 kilometres of cross-country trails which are daily groomed during the season. From sheltered trails in the forest to the open country, you are guaranteed to find your favourite! We have trails for young children and beginners, and for those of you who want to experience the wide mountain expanses. The trails are groomed for classic as well as skate skiing. The snow report is updated daily in the winter season. Cross country in Brokke . 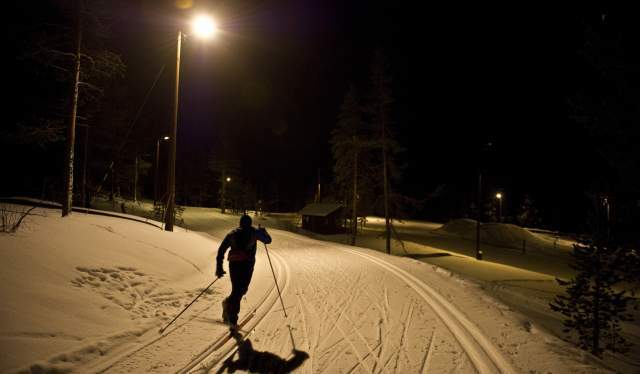 Nearly every village in Setesdal valley has a floodlit trail. The lights are on until 23.00 hrs. In Evje there are two floodlit trails; one near Evjemoen and one at Høgås, north of Evje. In Valle it is located in Brokke. In Bykle there are two floodlit trails; one in central Bykle and one in Hovden. Sesilåmi runs from Brokke in Setesdal to Sinnes in Sirdal, 52 km of true winter experience. The race was arranged for the first time in 1976, and has since then attracted many cross-country enthusiasts. HovdenTour runs in the mountains around Hovden. Choose between two distances; 42 or 22 kilometres. Watch the film from HovdenTour 2015. 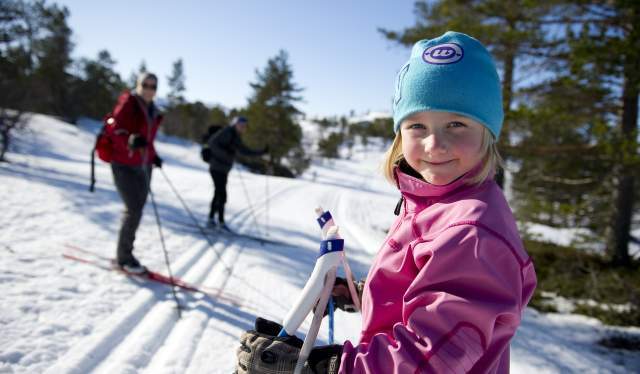 Hovden boasts 170 kilometres of cross-country trails which are daily groomed during the season. From sheltered trails in the forest to the open country, you are guaranteed to find your favourite! We have trails for young children and beginners, and for those of you who want to experience the wide mountain expanses. The trails are groomed for classic as well as skate skiing.